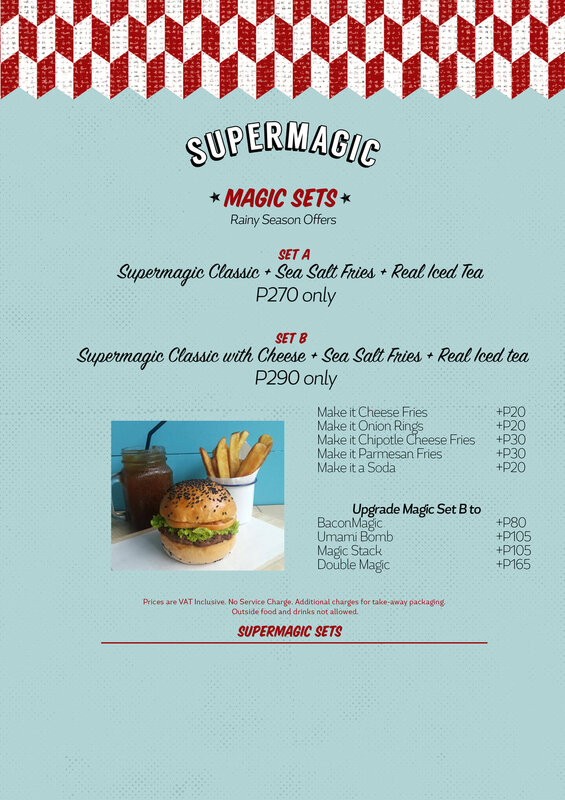 Supermagic Burgers serves the best burgers in Boracay right along the world's best beach. Our burgers are freshly-ground upon order with prime imported beef cuts and absolutely no extenders. Each quarter-pound patty is then seasoned with our signature Umami Dust, a blend of Kampot Pepper, sea salt and secret umami-laden ingredients, and cooked medium. Our soft buns are made daily by The Sunny Side Cafe. 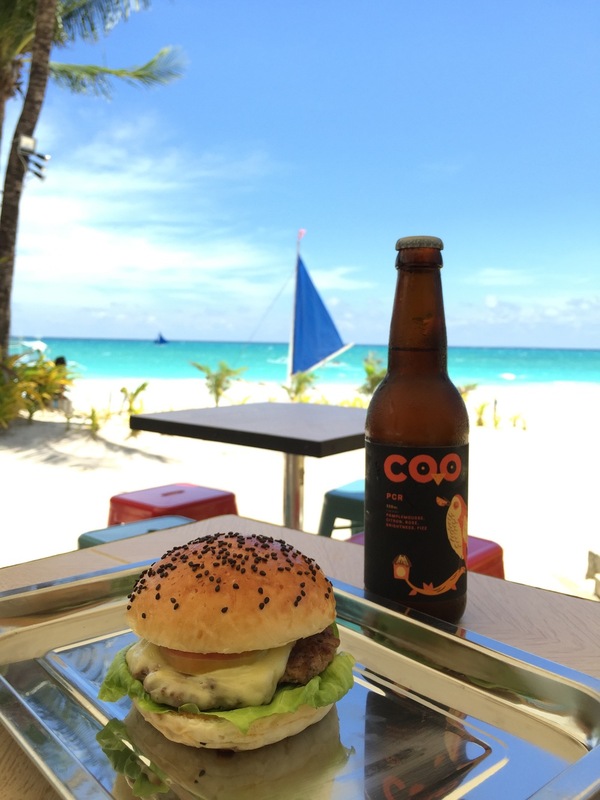 We are also the only restaurant in Boracay serving Shrimp Rolls and 'Shroom Burgers. Pair these with Chipotle Cheese Fries, Frozen Custard, Ice Cream Shakes and Craft beers. (Supermagic is) now the delicious homebase of Boracay's freshly ground burgers, lipsmacking sandwiches and frozen desserts...keeps comfort food delicious, fun, and playful - the perfect formula for enjoying good grub by the beach. Almost everything is made from scratch here and that makes all the difference. Start big with the Supermagic Umami Bomb featuring a quarter-pound beef patty dusted with their signature Umami Dust, and served with a generous pat of butter and smoked cheese, contained in a sturdy but soft and fluffy bun...it's a man-sized sandwich that's a joy to wolf down. Walk along the beach going south and take a left after La Carmela Resort. We are at the end of the small road, on the right side. You may also walk along the Main Road heading south until you see Station X. Turn right on the small road and you will find us on the left side not more than 50m away. Take a tricycle along the Main Road and go down at Station X. It is also across the street from Boracay Tropics Hotel.